Another freezing cold day with some light snow showers but a bit brighter than yesterday. I decided to leave the office early and drove home over the moors via Scammonden and Buckstones Edge. 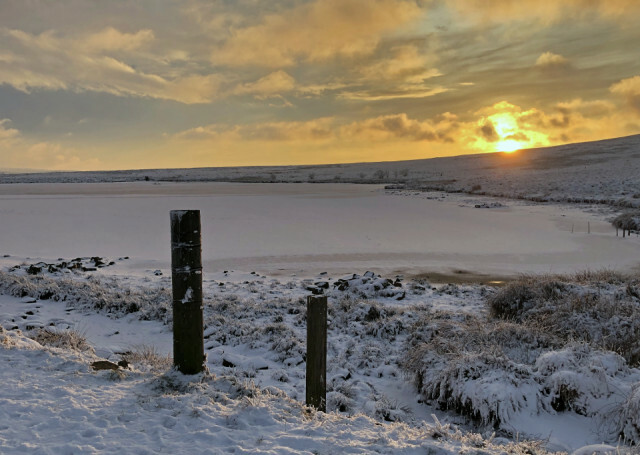 The shot is the frozen waste land around Cupwith Reservoir high up on the Pennine moors.